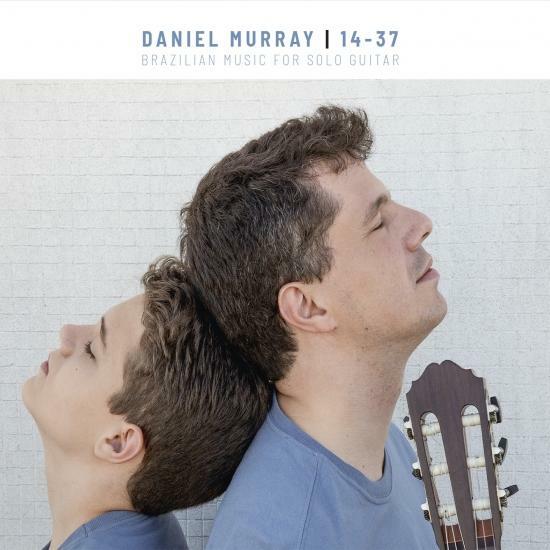 On his new album, 14-37, guitarist Daniel Murray presents the music that most influenced him between those ages. It contains Brazilian Music only, without any clichés, played with an impressive rhythmic surefootedness and virtuosity. It features works by Baden Powell, Heitor Villa-Lobos, Guinga, Antônio Carlos Jobim, Paulo Bellinati, among others. And a few own compositions that give the alcum the authentic quality. At 15, he finished second at the “Concours Internacional de Guitarre de Trédrez-Locquemeau” (France), and studied with Alberto Ponce for one month at La Coûme in the Pyrenees. Since then, he has studied lute with Silvana Scarinci and Carin Zwiling. At 17, he entered FASM-Faculdade Santa Marcelina to study contemporary music with professors Silvio Ferraz and Flo Menezes, going on to post-graduate studies in musical analysis with Menezes. In 2001, he began to study composition with João Carlos Assis Brasil. In 2002, he formed a Duo with Paulo Porto Alegre, his professor, dedicated to modern and avant-garde repertoire for two guitars. In June, 2003, he presented a solo recital in Nantes-France of Brazilian popular and contemporary music, including some of his own compositions. He participated as a scholar in the XXXIV Festival of Campos do Jordão-SP, Brazil. In August, he played at Festival Música Nova, and in September and October in France, in Lannion and Paris (the Brazilian Embassy and “Maison de l'Amérique Latine”). In 2004, he participated in the creation of the “Me Gusta Neruda” dance-theater show together with clarinetist Gustavo Barbosa Lima and ballet dancers Juan Castiglioni and Marisa Magalhães, as performed an player and composer. He played in the Cenapoética project with French poet Yvon Le Men in numerous places in São Paulo and at the “Festival Étonnants Romantiques” in Combourg, France. He played in Paris during the “Fête de la Musique” (Brazilian Embassy). He participated in the BIMESP-Bienal de Música Eletroacústica de São Paulo (Biennial of Electro-Acoustic Music of São Paulo). He currently teaches classical guitar at Cia das Cordas. 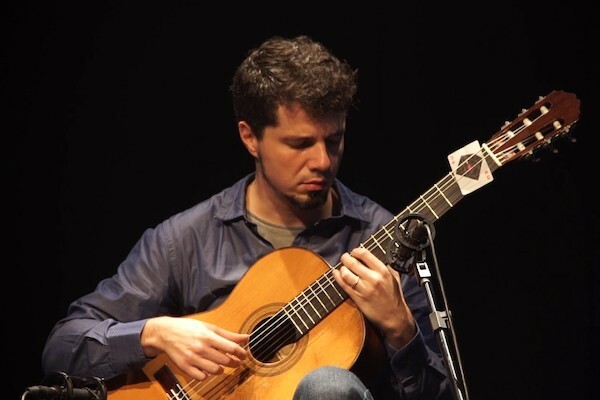 He is playing with Trio Opus 12, a guitar trio, with Paulo Porto Alegre and Edelton Gloeden, and plays regularly with Paulo Bellinati and Israel de Almeida. He is guest guitarist for Núcleo Hespérides - Música das Américas, a group composed of Andréa Kaiser, Antonio Ribeiro, Rosana Civile, José Antonio Soares, Paulo Porto Alegre, Joaquim de Abreu, Rogério Wolf, Heloisa Petri, José Augusto Mannis and Celso Delneri. He has played with them at Sala São Paulo, as well as many other venues.